Two Rivers Park and the NLR side of the BDB and much of the NLR Trail are flooded. Due to possible storms and trail flooding. You can do the Fondo or help with the Rock City Run. 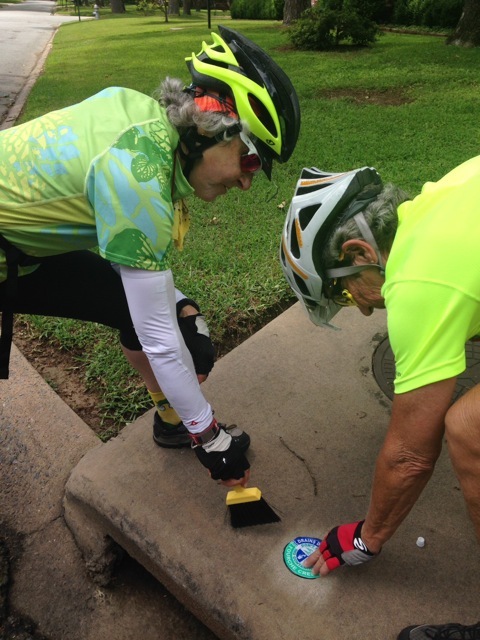 We had 4 riders putting Audubon decals on the storm drains, "drains to Fourche Creek" on Memorial Day. We got past 65th St. and used the new Coleman Creek Trail on the east side of University Ave., from 19th St. to UALR. It was very nice and has lights. 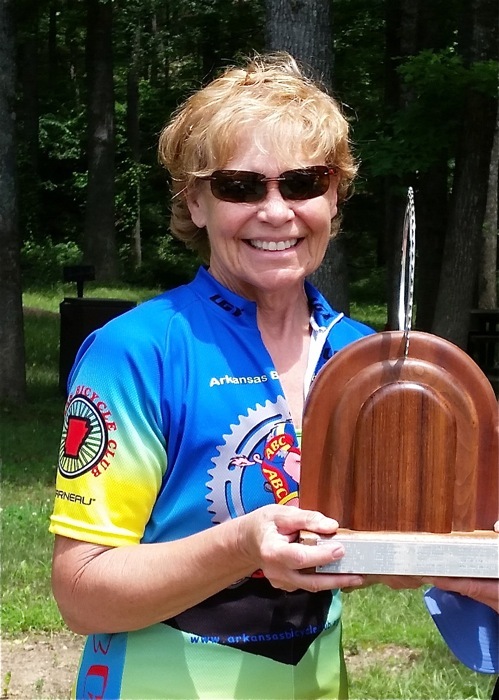 Susan Linck won the Prediction Ride by being only 25 seconds off of her estimate. She beat Ken Gould by 30 seconds even though Ken came was ahead of the pack and was just 1 minute off of his estimate. If you are planning on going to Greenwood, MS for this ride, The non-smoking rooms are filling fast. We are staying at the Best Western in Greenwood Friday night. I have added a local registration/carpool link to some of the out of area and out of state rides. For example, if you wish to go on the Erie Canal Ride, let us know so we can go together. Sign up with the ride and register locally. Be sure to register for the BRAA too if you are interested so we have your name. You can post your questions and comments here.